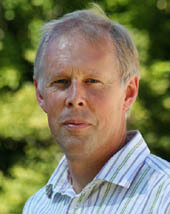 Dr. Richard G. Haverkamp is Professor of Nanotechnology in the School of Engineering and Advanced Technology at Massey University, Palmerston North and serves as a Director for the Nanotechnology group. The focus of Dr. Richard Haverkamp research is on nanotechnology applied to soft and hard materials. Dr. Richard Haverkamp is a fellow & member of many national & international societies- American Chemical Society (ACS), Royal Society of New Zealand, Senior Member American Institute of Chemical Engineers (AIChE). He serves as an Associate Editor PLoSONE. He has edited over 60 refereed journal publications and has been involved with many Conferences and collaborations. Response: A good research idea, something new, an interesting outcome, science that is robust, a good style of writing and presentation, attention to detail. Response: Yes, the articles that are accepted in leading journals create a momentum in those areas. Response: A demonstrated thorough knowledge of the subject area – both the literature and from personal experience – combined with an interesting opinion or perspective on the topic. Response: It contains a new idea that has been carefully examined. Statements are supported by evidence. 5. How does the research published percolate through to practitioners? Response: In my experience that scientific literature is more widely read by practitioners that I would have expected – so it gets there directly. 6. How can a publisher ensure the authors/readers a rigorous peer review and quality control? Response: By setting appropriate and fairly strict guidelines for paper acceptance, by having good guidelines and allowing sufficient time for paper review, by choosing editors who select appropriate reviewers, by upholding the decisions of editors who choose to reject manuscripts. 7. What do you see as the merits of journals, as opposed to book series, as a means of scholarly communications? Response: Usually journals have much stricter criteria for scientific robustness. Journal articles in general contain less opinion and more supported statements. Journal articles address just one main issue at a time and contain original research whereas books tend to be broader and do not usually contain original scientific material. 8. How do you differentiate Journal of Nanomaterials & Molecular Nanotechnology with other journals in the field? Response: It is a new journal that is still finding its way. Provided high standards of paper review and strict acceptance are maintained it has a good prospect of becoming more mainstream.